Improvements made along the A14 in Cambridgeshire have finished and is now fully open to traffic, Highways England has announced. 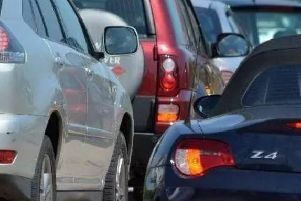 The work, which will help improve journey times on the A14 near Cambridge, has seen a third lane added in both directions between junctions 31 and 32 as well as improvements to the westbound access roads to the M11 and A14 at the Girton interchange. Highways England Service Delivery Team Leader Aran Nugent, said: “I’m pleased to say the work on the A14 between Histon and Girton has now finished and I’d like to thank drivers for bearing with us while we completed this important work. “We recognise the scheme has taken longer than anticipated and we will be carrying out a debrief with our contractor, Costain and supervisor Amey, to understand how we can prevent similar issues happening in the future. The improvements on the A14 are part of Highways England’s £317m pinch point programme to improve more than 100 congestion hotspots nationwide. Prioritised in consultation with Local Enterprise Partnerships, they sped up delivery of road improvements with proven links to local development priorities. The A14 improvements will help to support the creation of 582 jobs and 1,480 new homes by 2020. Construction started last April and was completed on Sunday, September 13. Highways England would like to thank drivers for their patience during this scheme.